Ring and Sing the Seasons is a reproducible collection comprised of both seasonal and general use hymn arrangements. The arrangements feature very simple rhythms and chords for handbells or handchimes, and unison vocal parts. Also included is an original processional, composed of layered ostinato patterns, with alternate texts for General, Christmas, Palm Sunday and Easter use. 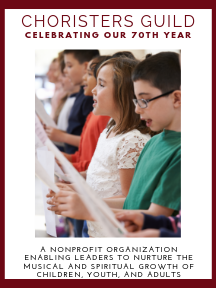 In her preface, Karen Lakey Buckwalter writes, "Having served 38 years in full time music ministry, I realized some of the most joyful moments were convincing choirs of all ages that they could ring and sing simultaneously." One also has the option of having a soloist or vocal choir sing the hymn tune accompanied by the handbell or handchime choir. Separate vocal pages are included for the convenience of non-ringing singers.